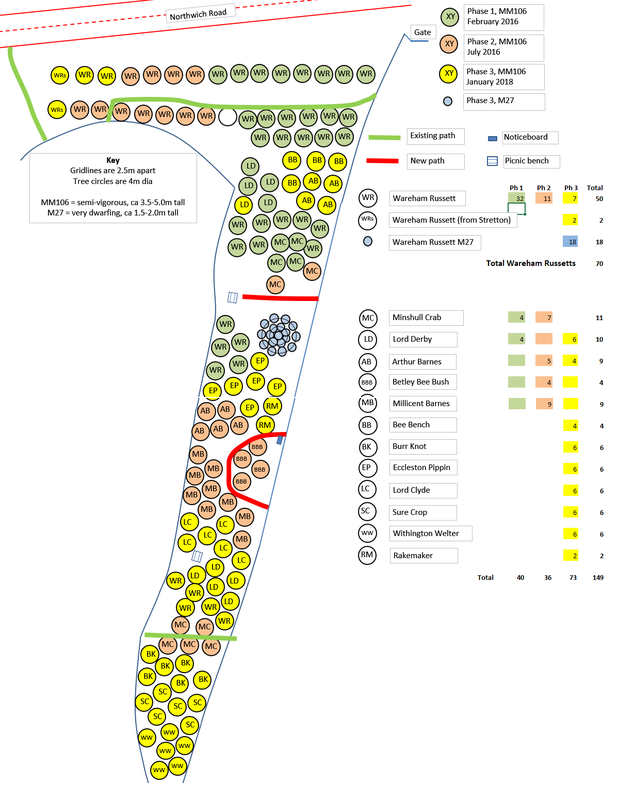 The Memorial Orchard: A community orchard. The year 2014 marked the centenary of the start of The First World War and the 70th anniversary of the D-Day Landings. 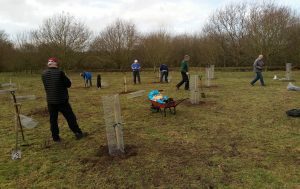 Following an open meeting at The University Primary Academy, Weaverham, on 17 December 2013 an Action Group was formed with a view to establishing a Community Orchard. 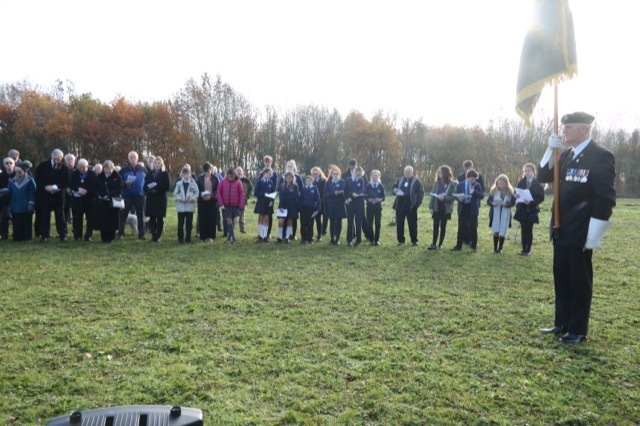 To commemorate the centenary of the signing of the Armistice in 1918 we held an Ecumenical Service of Remembrance at the Memorial Orchard, Thorn Wood on Thursday, 15th November 2018 at 10.45 a.m. 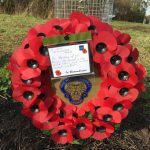 It was well attended by over 100 people; members of the clergy, The Royal British Legion and Burma Star Association, veterans and their families, local councillors, local Police Officers, our MP and representatives from our local schools. On Tuesday 16th of October 2018 we held our AGM. If you are a supporter of the Community Orchard and receive e-mails or newsletters from us we need you to confirm that we still have permission to keep and use your contact detail by filling in this simple form. Why are we asking this? 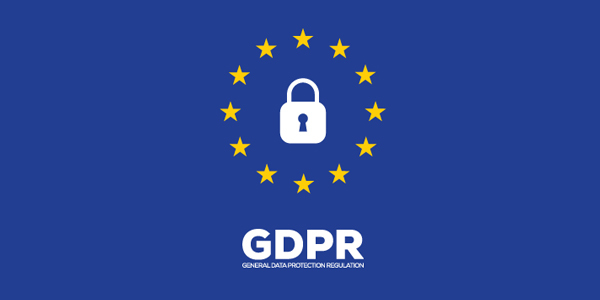 GDPR Info. 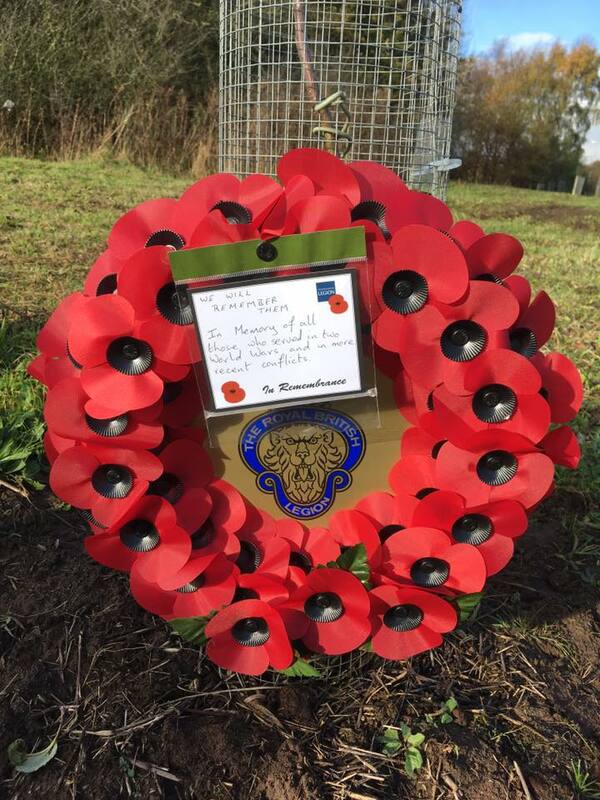 To establish an orchard in memory of all those who fought in two World Wars and in more recent conflicts. To save the Wareham Russet apple tree from extinction and to grow it alongside other Cheshire heritage fruit trees. 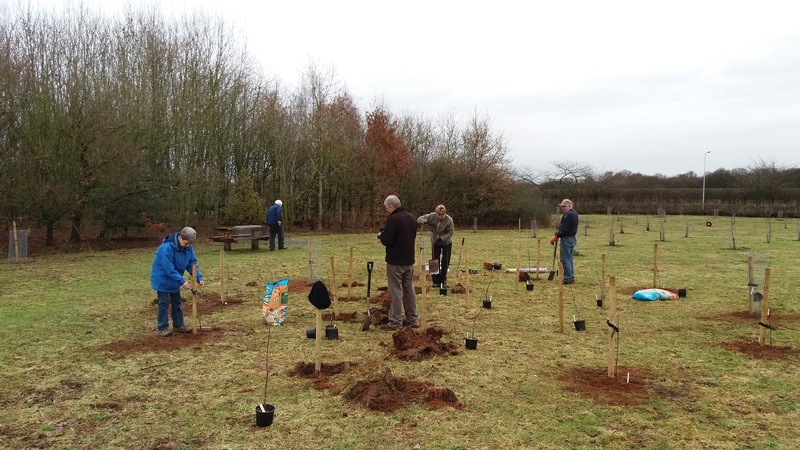 To plant additional pocket orchards of Wareham Russet apple trees in the locality. To provide an amenity for Weaverham, Hartford, and neighbouring communities. To facilitate educational visits and social events. 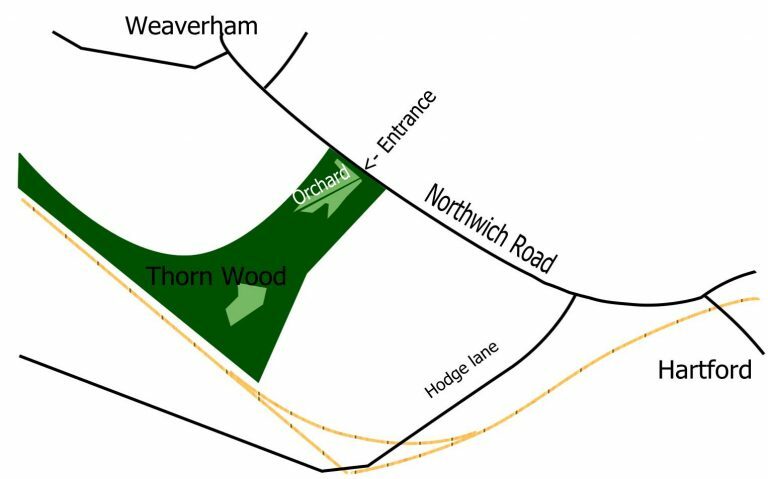 The Memorial Orchard is in Thorn Wood on Northwich Road, just outside Weaverham. WCMO have leased a plot of just under one acre from the Woodland Trust, who own Thorn Wood. The 25 year lease was signed in December 2015. The Orchard is to the right of the footpath as you go through the gate. You may visit the Memorial Orchard at any time. We also plan to hold events such as Apple Days and Wassailing. We have completed our winter planting and, as of April 2018, we now have a total of 149 young trees in the Orchard. Seventy of them are Wareham Russetts, and of these 52 are grafted to semi-vigorous rootstocks (MM106 to our botanically-minded readers!) and should grow to around 4-5m tall. The other 18 have been grafted to very dwarfing (M27) rootstocks and we have planted these together in two concentric circles. They should only grow to about 1.5 – 2.0m tall and it is our hope that they will develop into a miniature orchard suited to children. 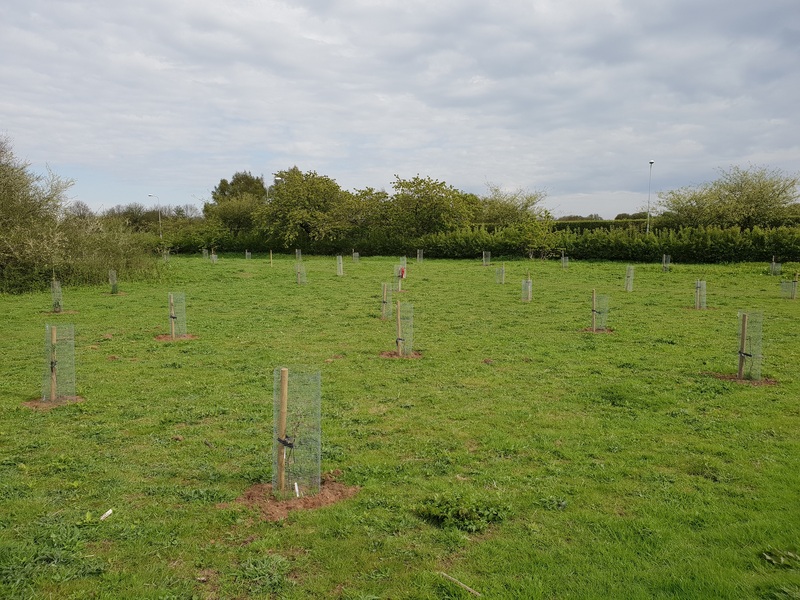 In addition to the Wareham Russetts that we have planted in the Orchard, we have also donated or sold another 19 saplings to organisations or individuals in the Weaverham area. We hope that in this way, by ensuring that the new trees are spread around the village, we will be able to ensure that the future of the Wareham Russett is once again secure. In May we also installed two Bee Hotels. 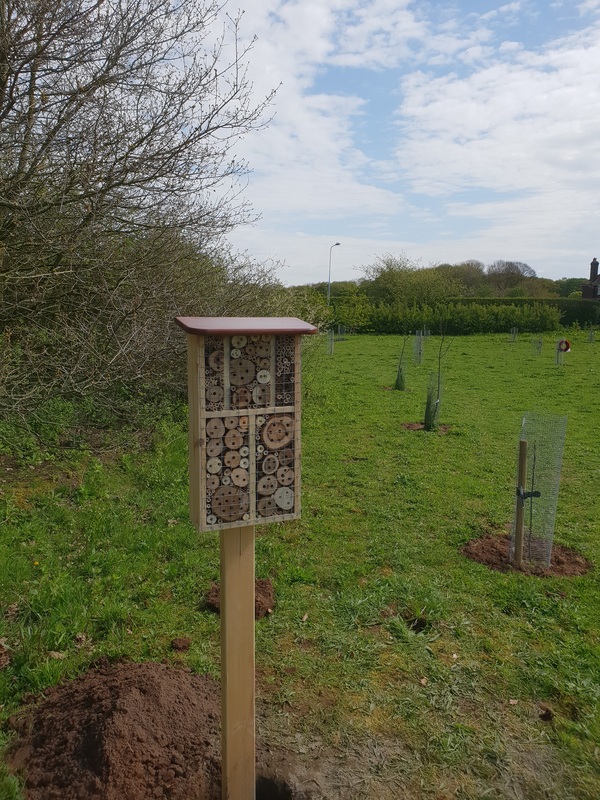 Made by Fiona Casson and her father, we hope that these will help to encourage bees to visit our trees for pollination! We do have another 20 grafts growing on, which again were prepared for us by Harry Delaney at Reaseheath College (see the earlier post here); 15 more Wareham Russetts – which we expect will all be donated to more organisations, or sold to individuals – and 5 Rakemakers, which we want to add to the 2 that we already have in the Orchard. Finally, as we have said before, many varieties of pear were used to dye uniforms khaki during the First World War. It is believed that the Hazel Pear, commonly grown in Acton Bridge, was one of them. We intend to plant 2 of these, together with 2 Cheshire Prune trees (damsons). We intend to manage the orchard in an environmentally sensitive manner, and to share the harvest when the trees are mature. To help us in this respect we are always looking for volunteers to help with the ongoing maintenance such as weeding, pruning and litter-picking. We usually have fortnightly work mornings, especially during the summer months, and if you would like to join us please contact us here. 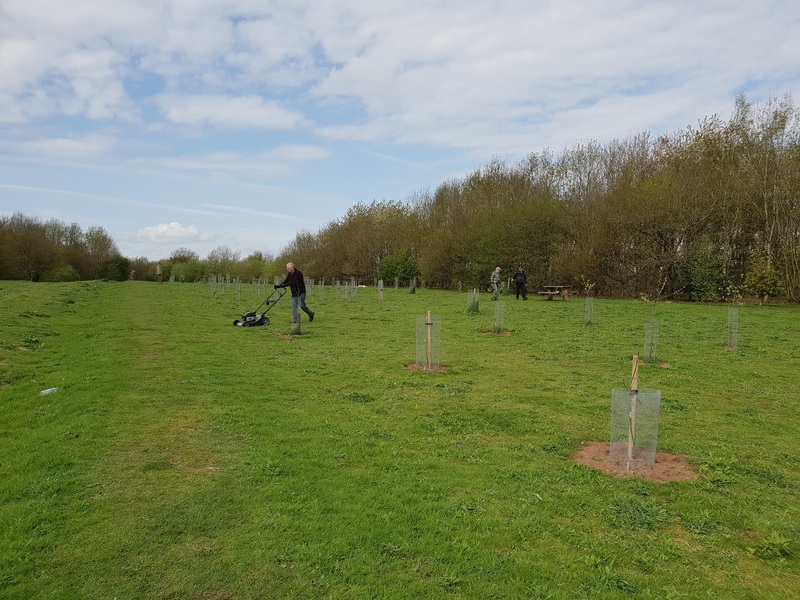 We hope the Memorial Orchard will become a reminder of Cheshire’s apple, pear and damson growing heritage, helping to preserve for everyone to taste and enjoy many old varieties once commonly grown in this area. We also hope it will provide a place of quiet reflection for us to remember those who made the ultimate sacrifice. A non-profit making company incorporated at Companies House as a Company Limited by Guarantee.